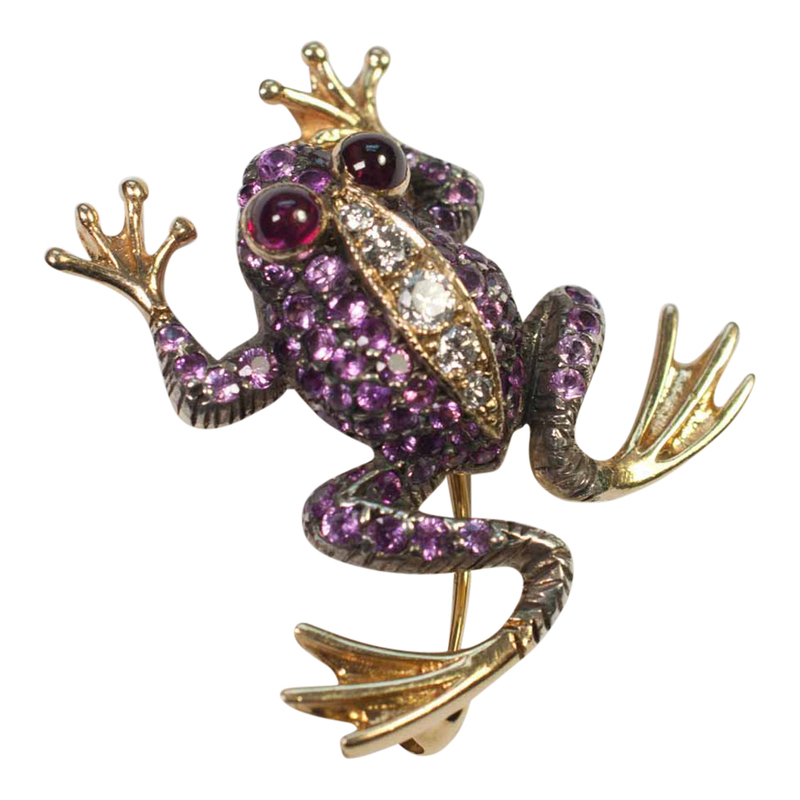 Adorable lady frog pendant/brooch! 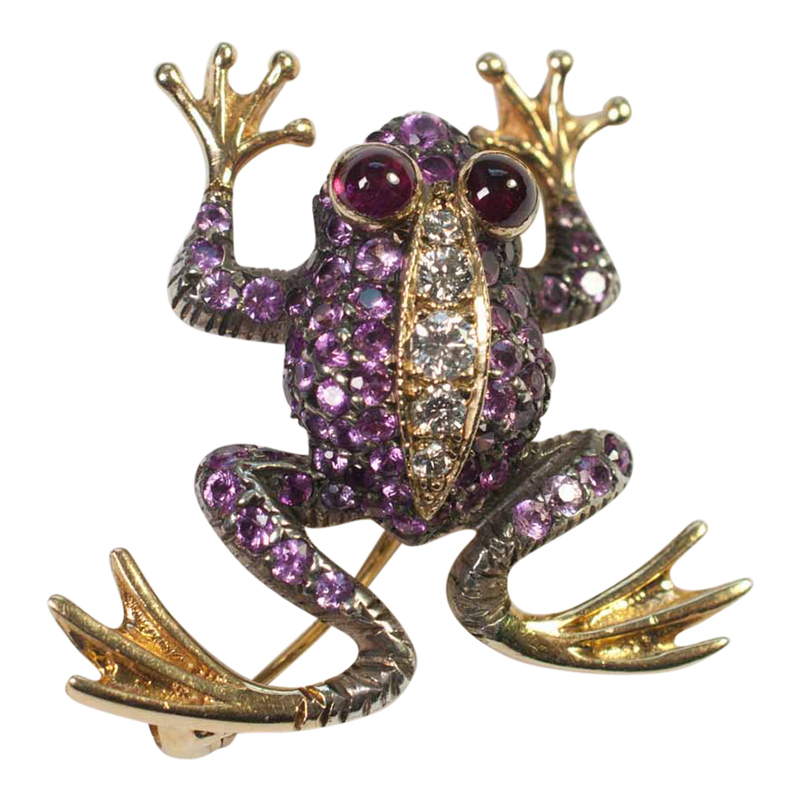 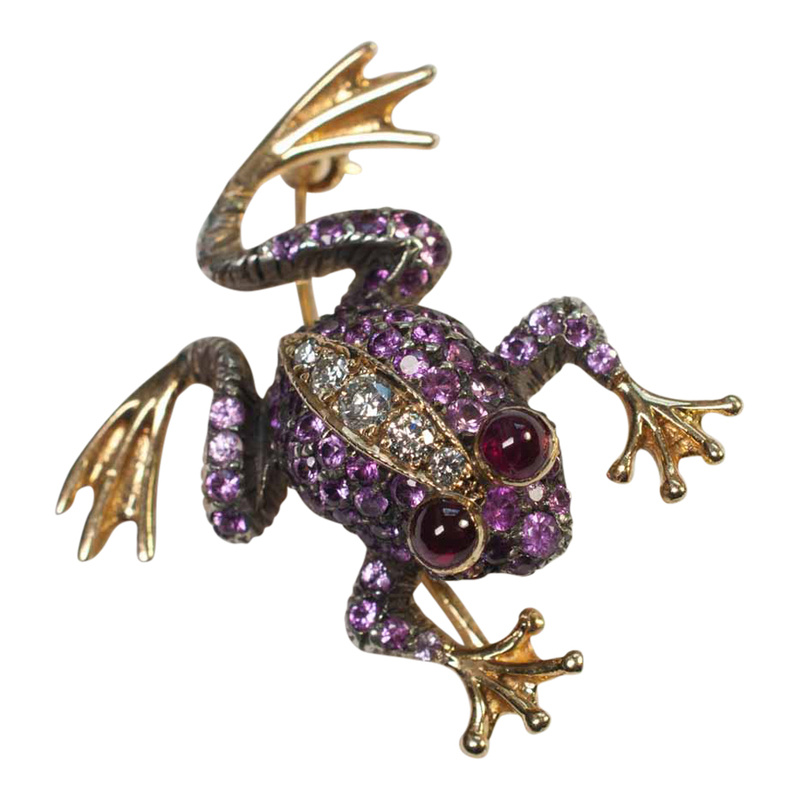 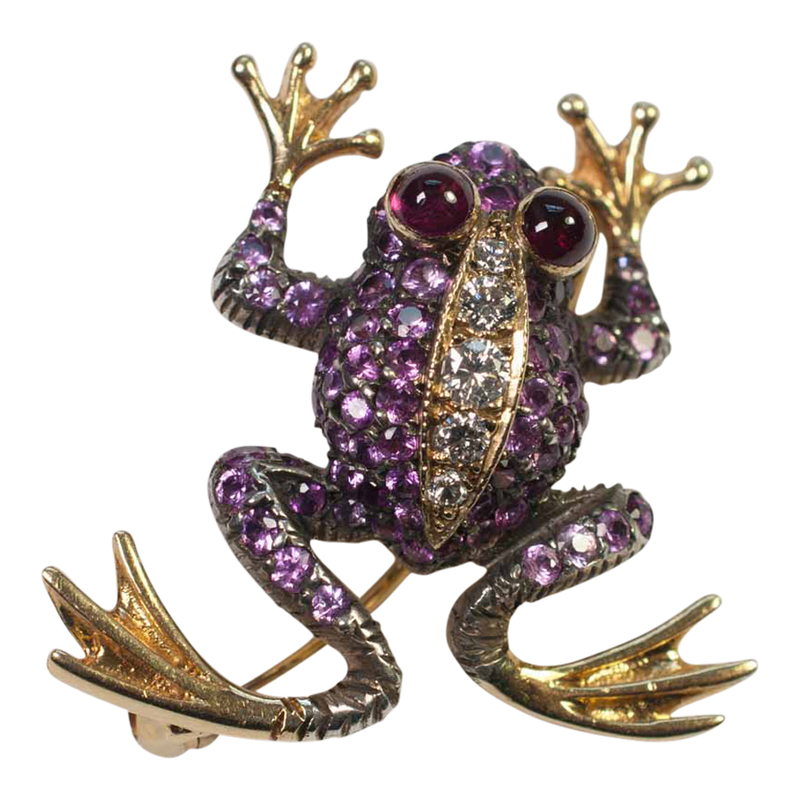 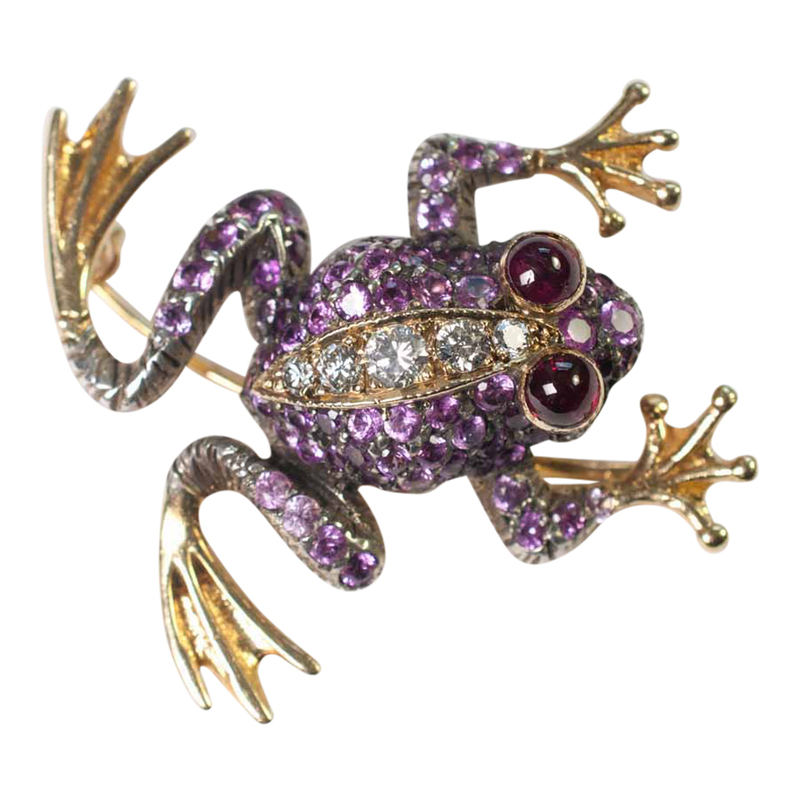 Our little frog is set with pink sapphires, diamond, big red garnet bug eyes and is in full leaping mode. 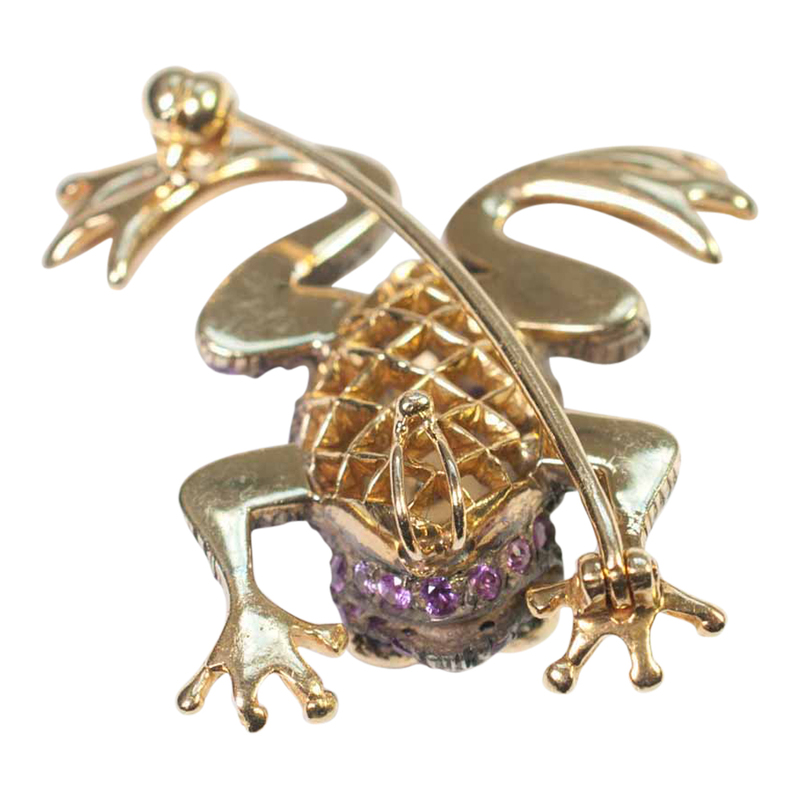 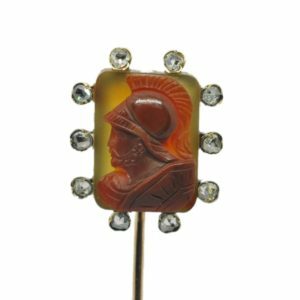 Tested as 18ct gold and the pink sapphires are set in silver Measurements 3cms x 3cms at the widest point. 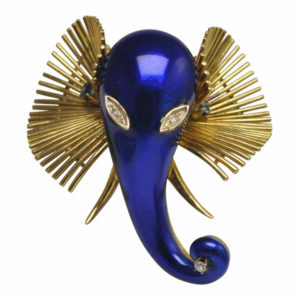 Weight 8.2gms. 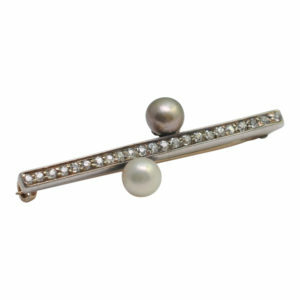 She is fitted with an open loop at the back to hook a chain on and a brooch fitting with lock. 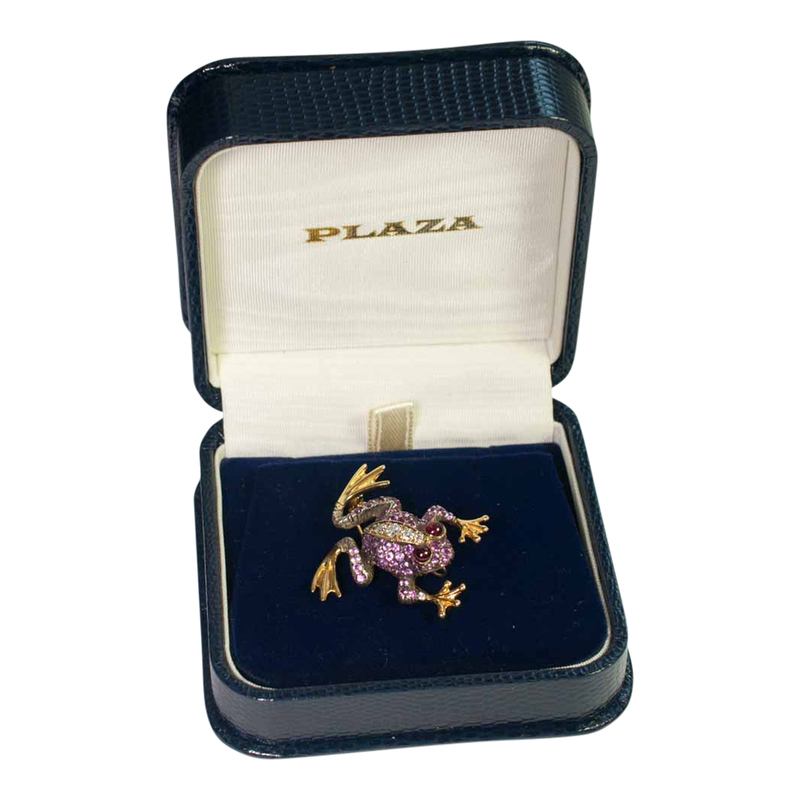 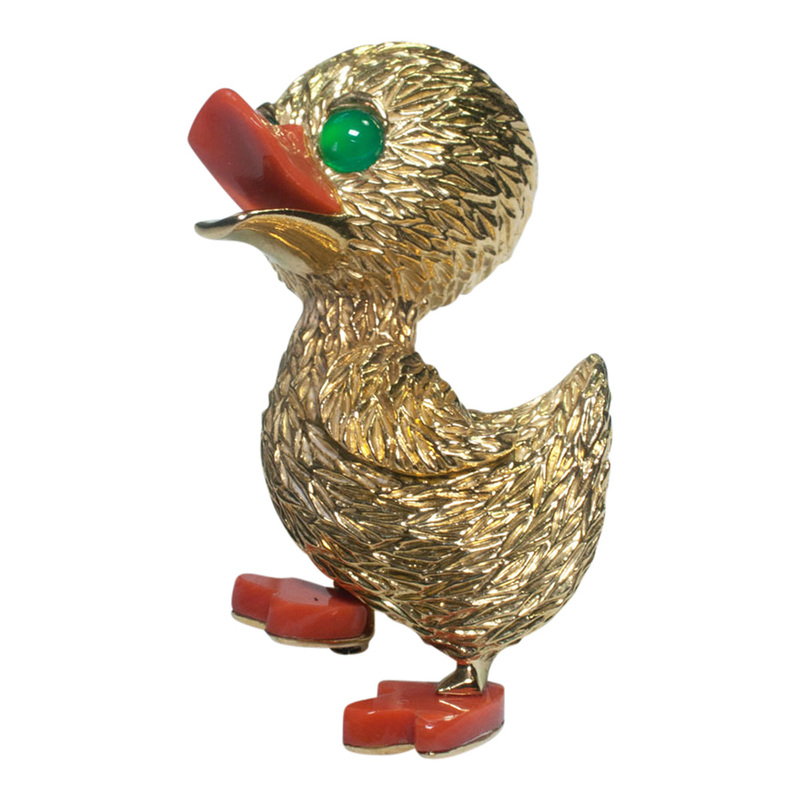 She is in excellent condition and dates from the 1960s.